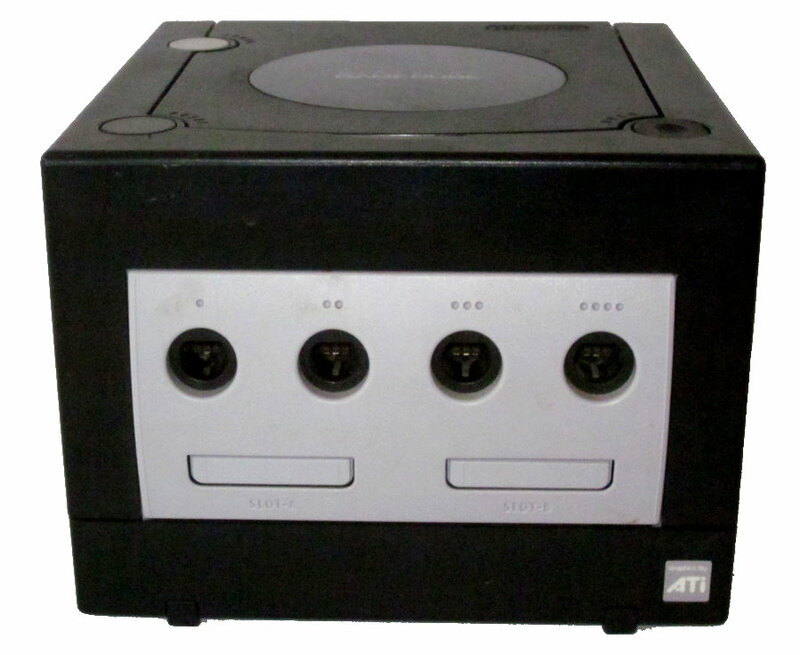 The images of the Nintendo GameCube are categorized and show the console, joystick controllers and 3rd party accessories. 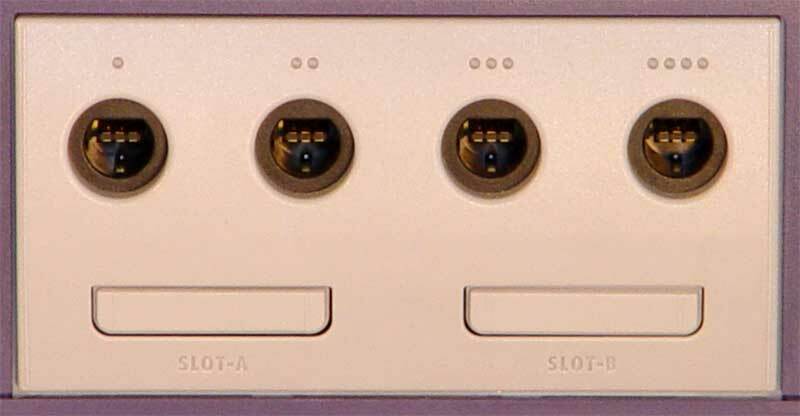 You will also find detailed close-ups of the ports and connections available on the GameCube. Nintendo GameCube in box. Released November 18, 2001 in North America as the successor to the Nintendo 64 it competed with the Dreamcast (which ceased production before the GameCube launched), PS2, and Xbox. There were 12 games at launch. 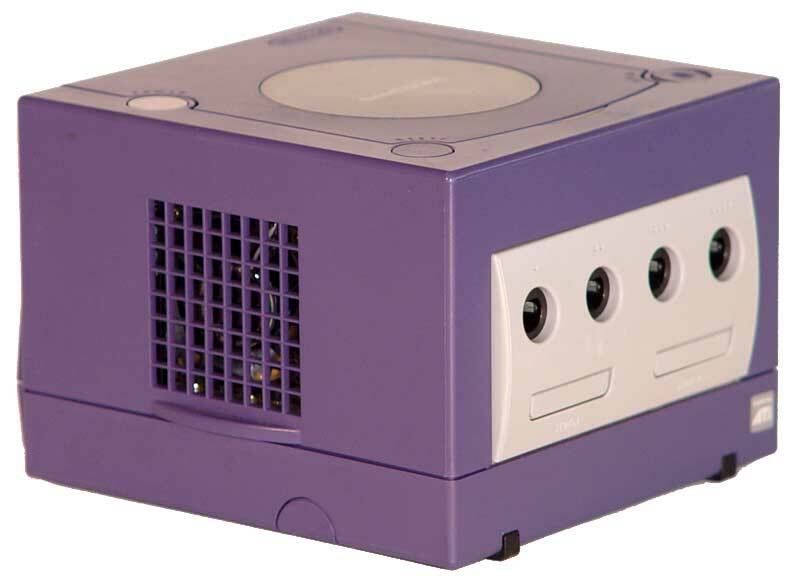 The GameCube's model numbers, DOL-001 and DOL-101, are a reference to its codename, "Dolphin." 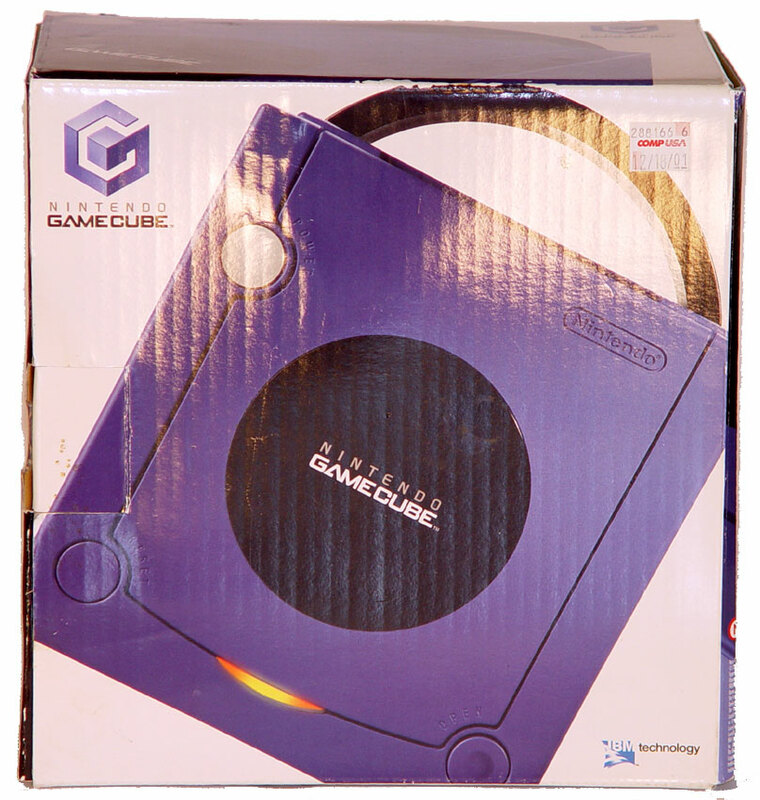 Nintendo GameCube in box. 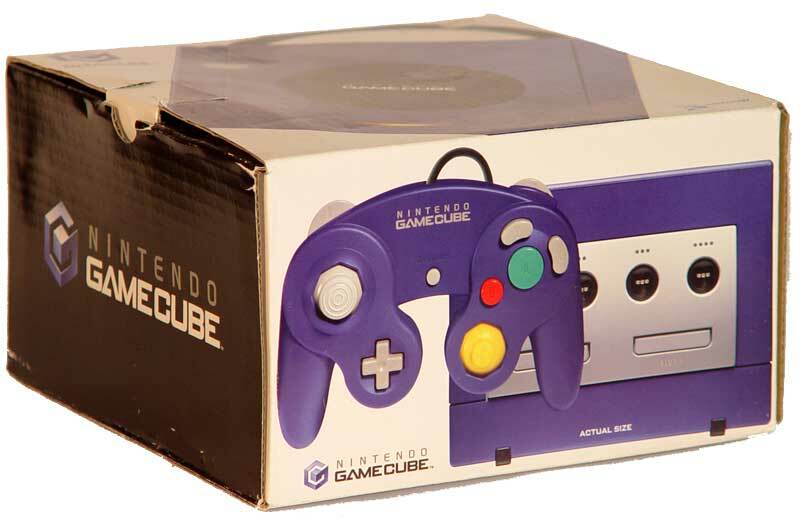 GameCube was the first Nintendo console to use optical discs - leaving cartridges behind. 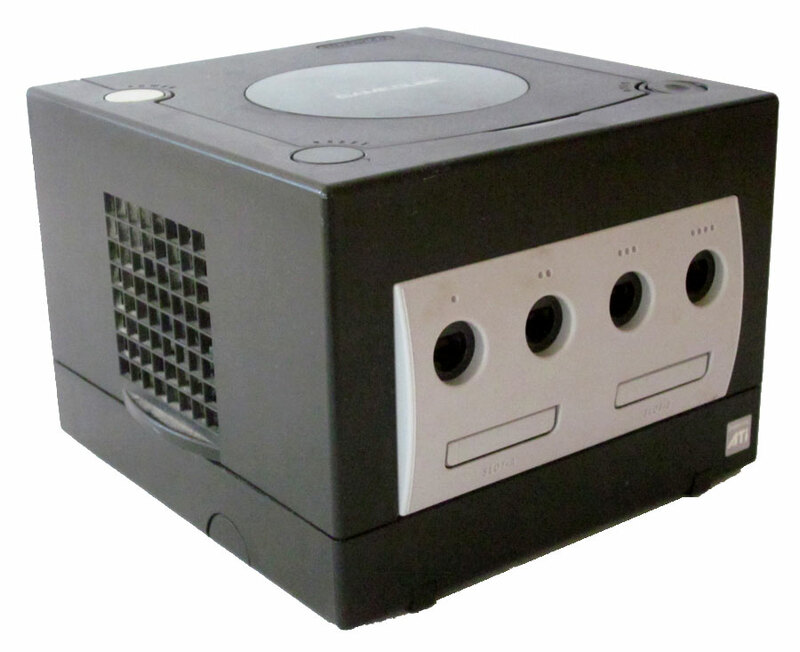 The GameCube sold approximately 21 million units worldwide before being discontinued on August 14, 2007. 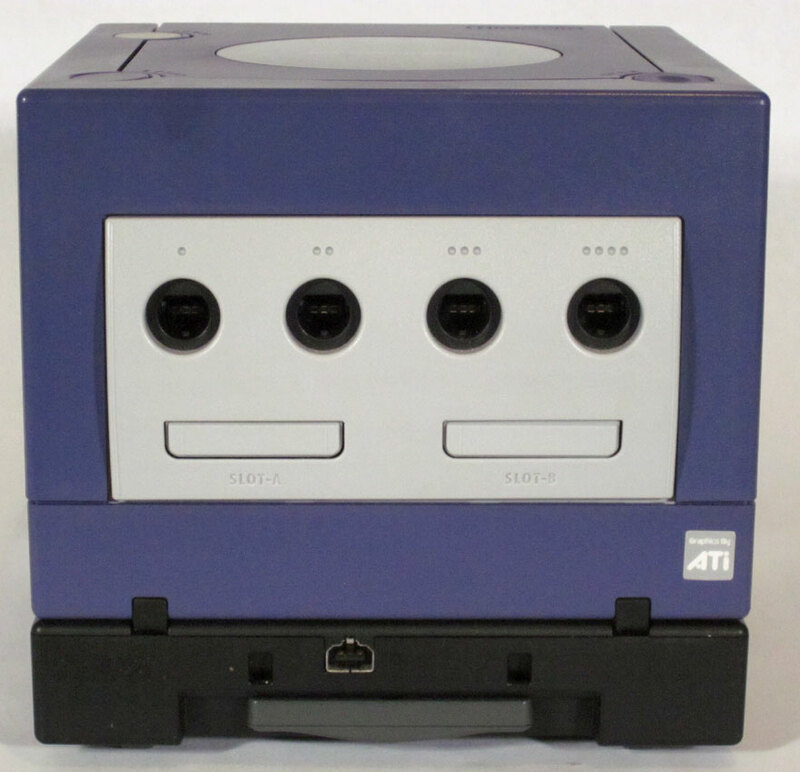 Nintendo GameCube - Front view. 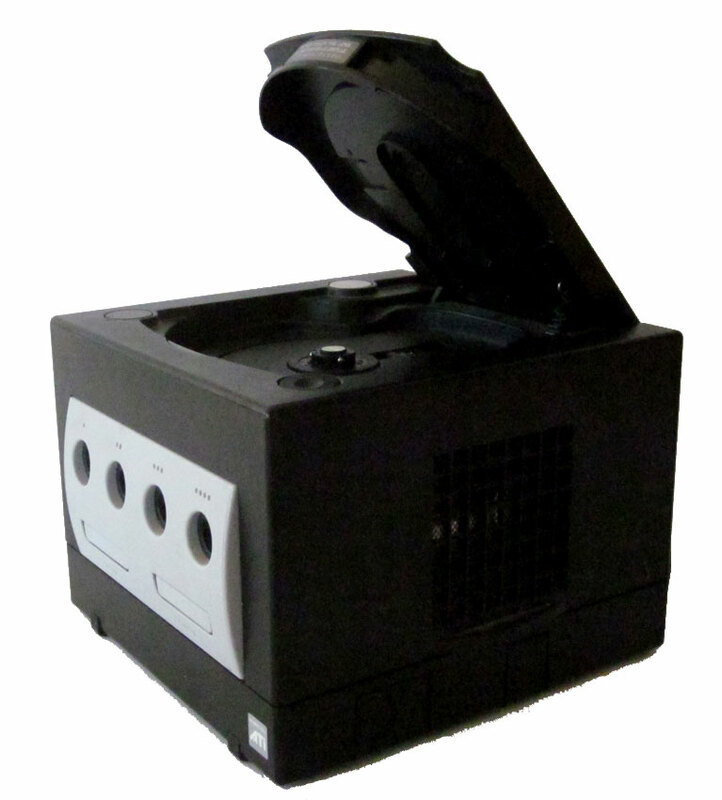 The GameCube uses miniDVD-based discs instead of full-size DVDs thus, it doesn't have DVD playback functionality of the PlayStation 2 and Xbox systems, nor the audio CD playback ability afforded by other consoles that use full-size optical discs. 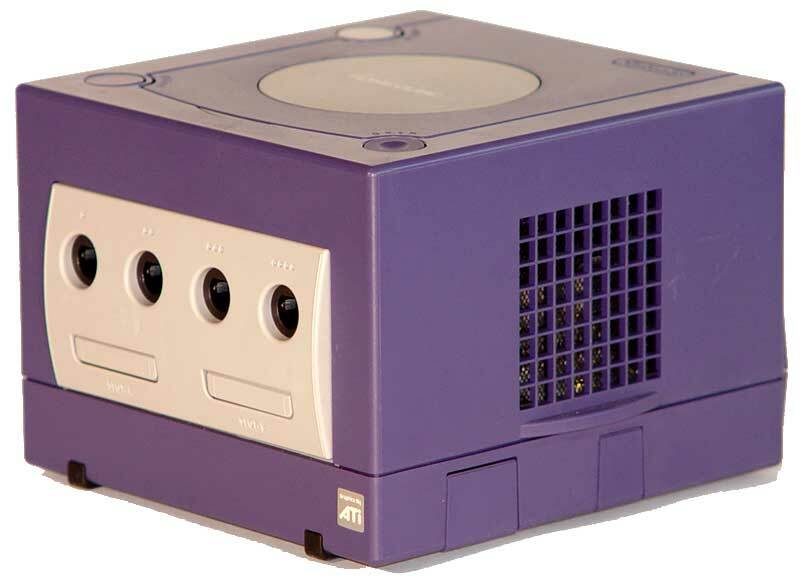 Nintendo GameCube - rear view. 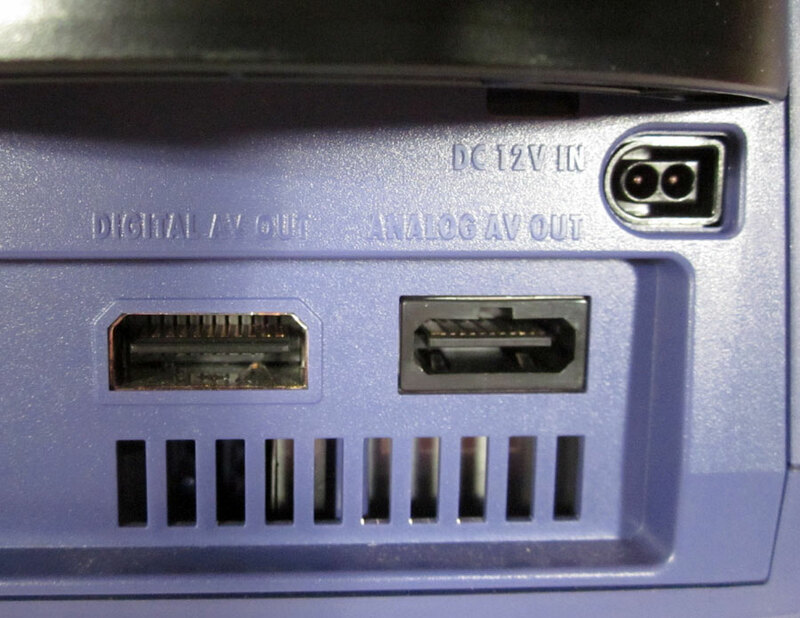 The Multi-AV port was identical to that in Nintendo's earlier Super Nintendo Entertainment System and Nintendo 64 consoles, allowing most cables from these systems to be used interchangeably. 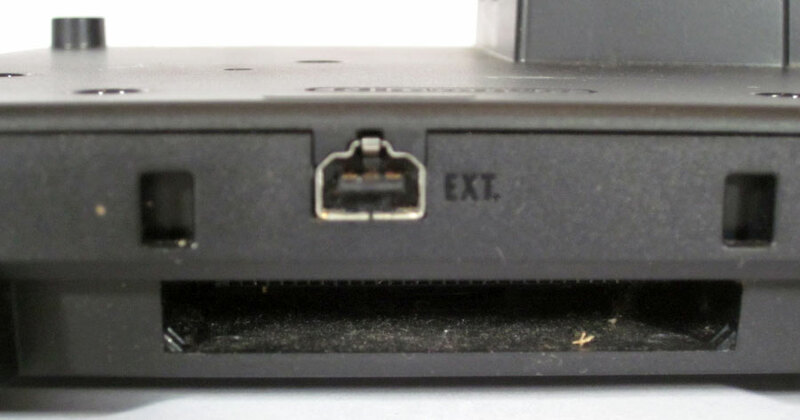 They discovered the Digital AV port was used by less than one percent of users, leading to the removal of the port from consoles with model number DOL-101 manufactured after May 2004. 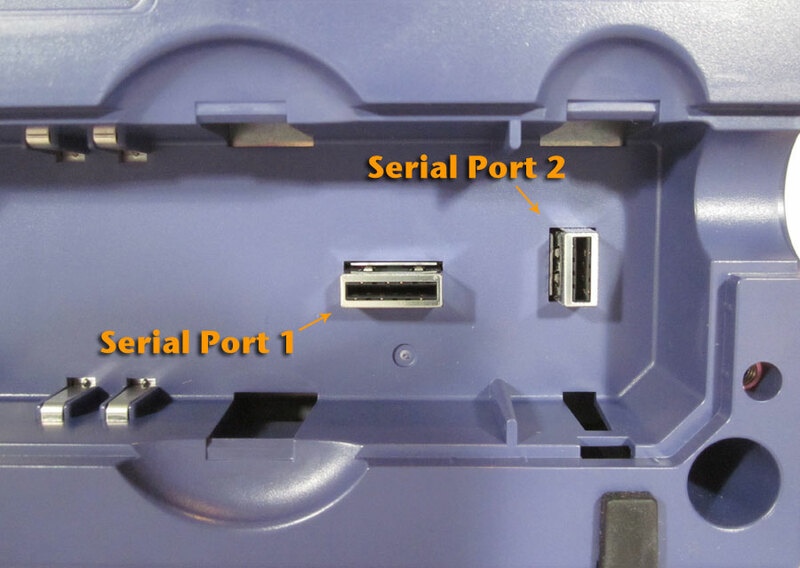 Serial Port 2 was also removed from models DOL-101 manufactured after the first product revision. Nintendo GameCube - bottom view with the external port covers removed in the top picture. 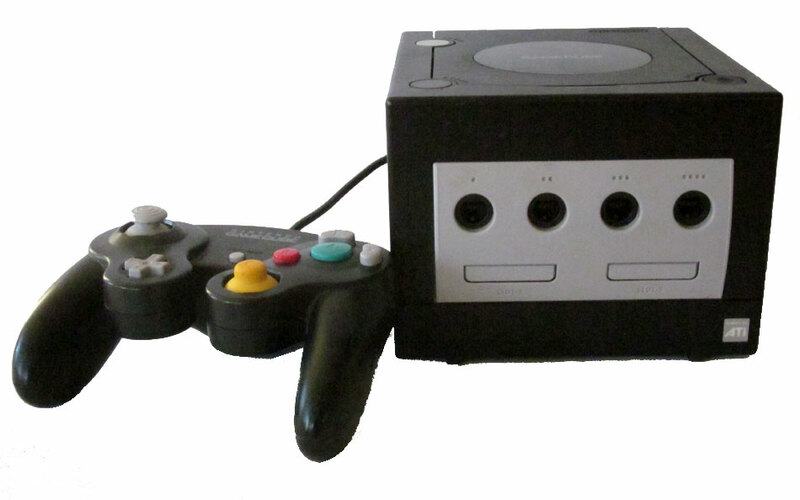 The GameCube failed to reclaim the market share lost by its predecessor, the Nintendo 64. In terms of hardware sales, it stayed in 3rd place behind its direct competitors -PDS and Xbox. This is likely due to it's lack of DVD video support - via it's form-factor. Nintendo GameCube - Top view showing handle. 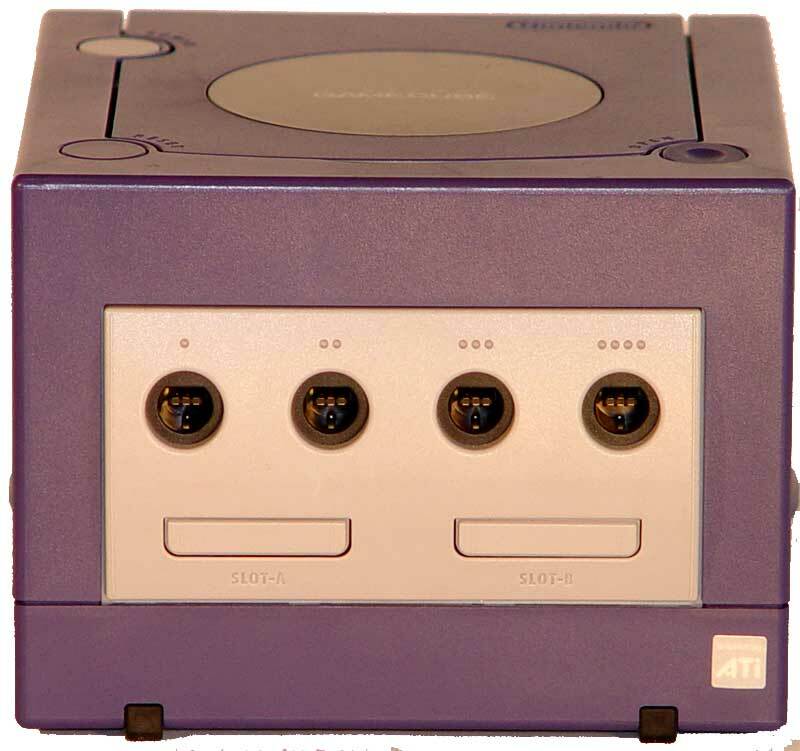 Due to lagging sales, Nintendo stopped GameCube production for a brief period in 2003 to sell off surplus. Sales rebounded slightly after a price drop to $99 on September 24, 2003 and the release of The Legend of Zelda: Collector's Edition bundle. 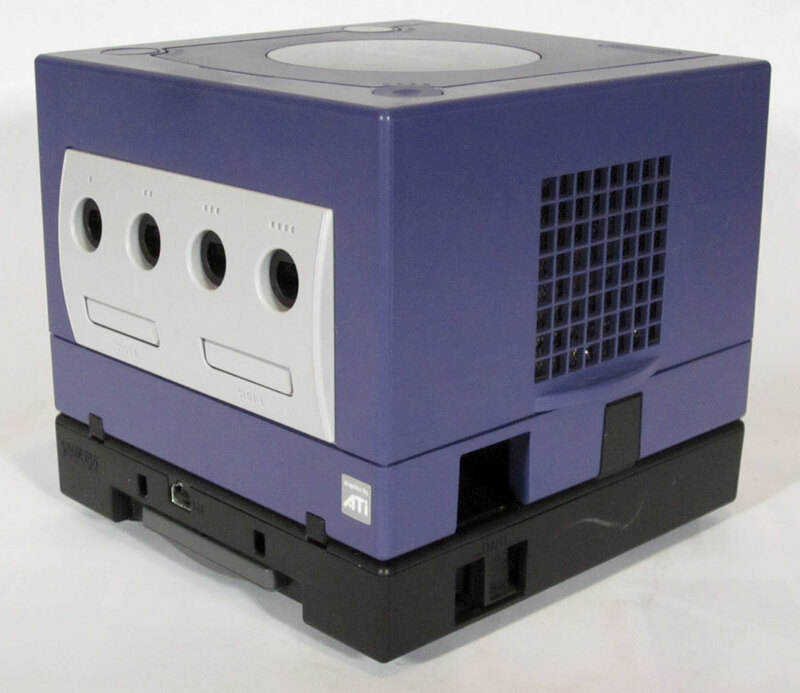 Nintendo GameCube with CD compartment door open. Black Nintendo GameCube set up with a Controller. 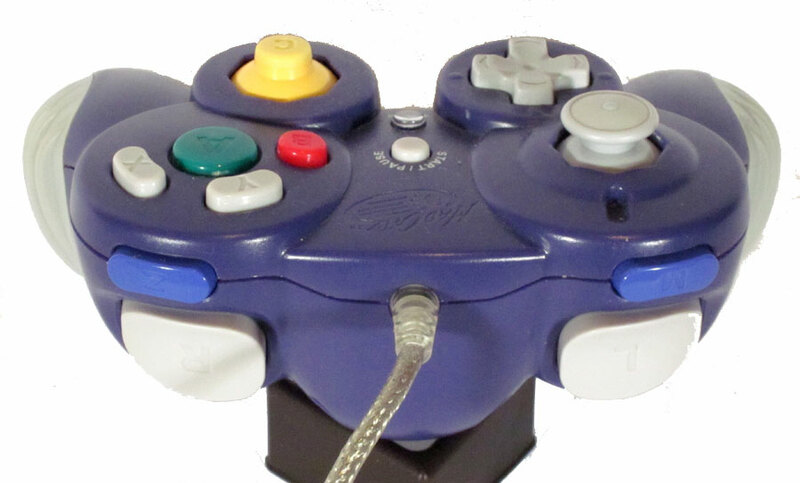 Nintendo GameCube controller: top view. 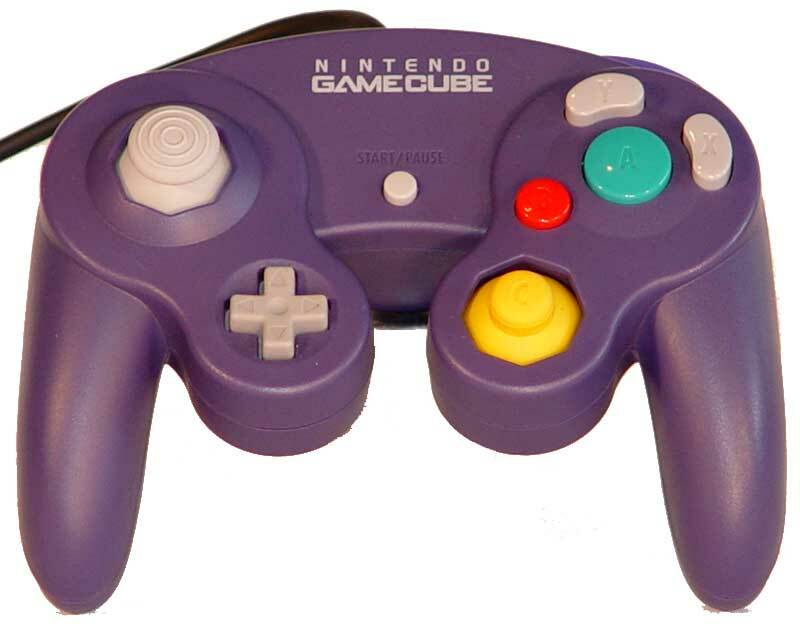 The standard GameCube controller includes a total of 8 buttons, two analog sticks, a D-pad, and an internal rumble motor. The primary analog stick was on the left, with the D-pad below it. On the right are four buttons; a large green "A" button in the center, a smaller red "B" button to the left, an "X" button to the right and a "Y" button to the top. Below those, there was a yellow "C" stick, which often serves different functions, such as controlling the camera. 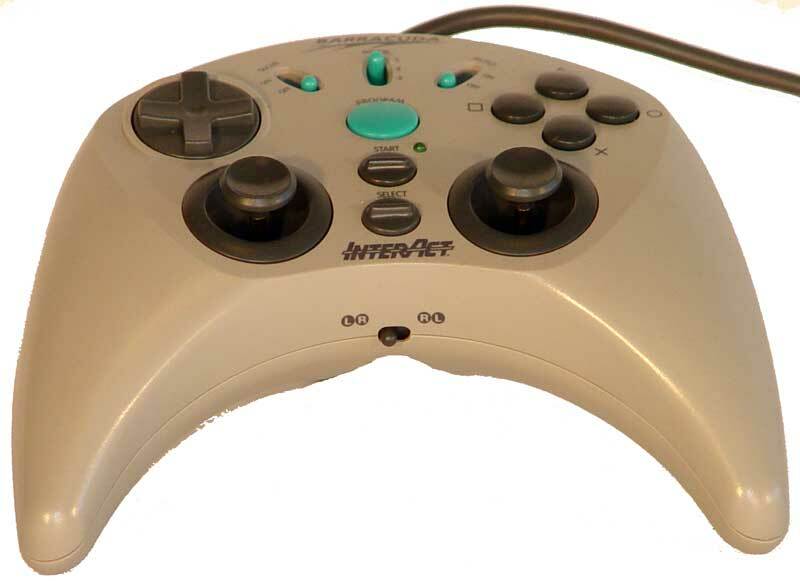 The Start/Pause button was located at the middle of the controller face, and the rumble motor was encased within the center of the unit. 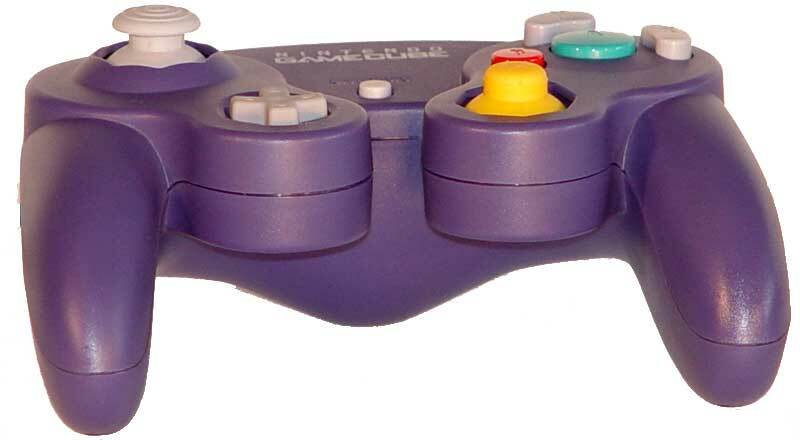 Nintendo GameCube controller: flat view. 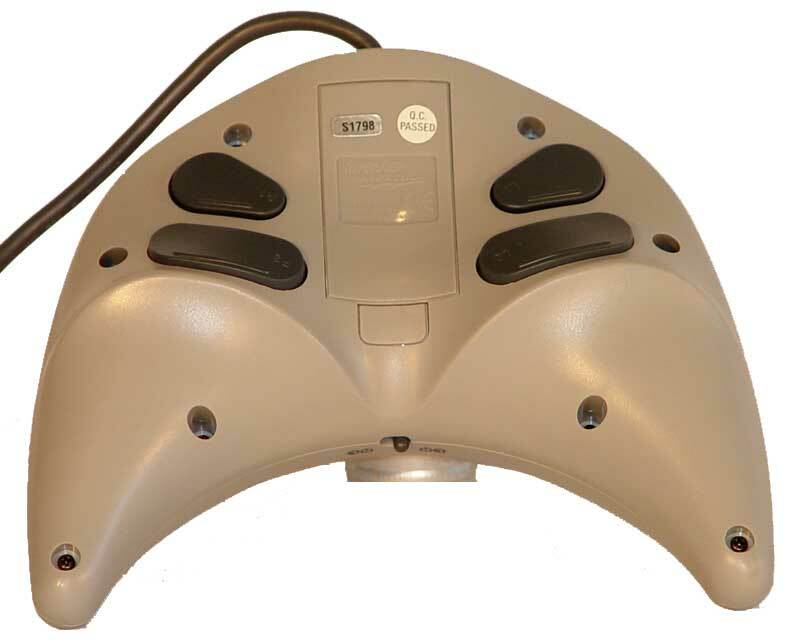 On the top of the controller there are two analog shoulder buttons marked "L" and "R," as well as one digital button marked "Z." The "L" and "R" shoulder buttons feature both analog and digital capabilities. Each of these buttons behaves as a typical analog button until fully depressed, at which point the button "clicks" to register an additional digital signal. This method effectively serves to provide two functions per button without actually adding two separate physical buttons. 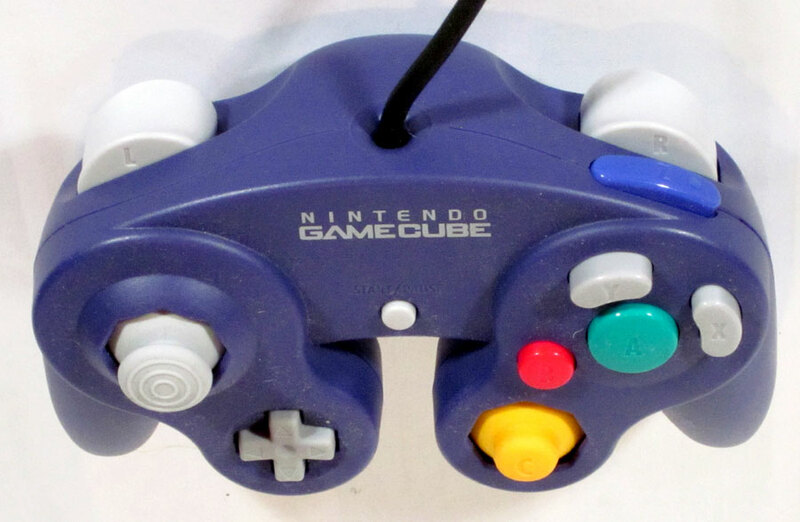 Nintendo GameCube controller: Front view. 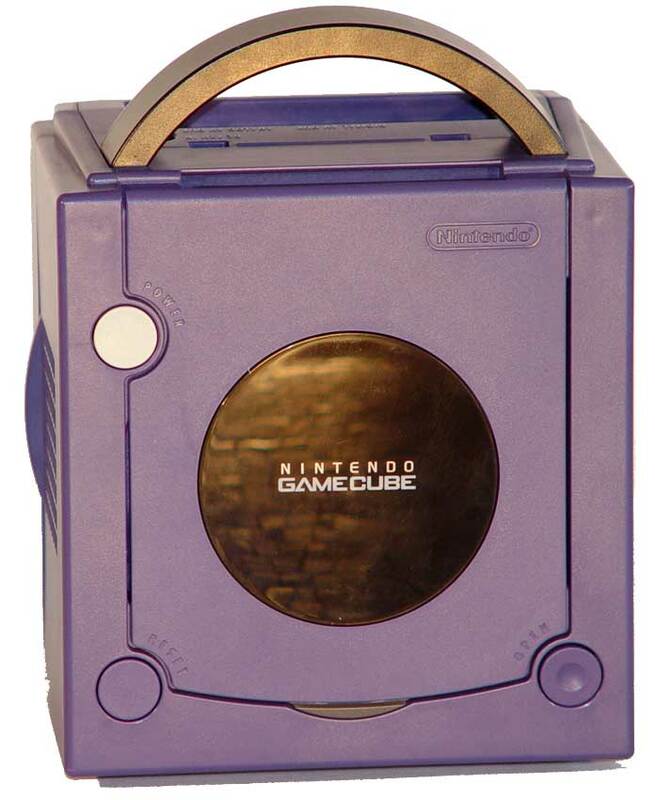 The Gamecube has two audio Easter Eggs: When the power is activated, if a user holds the "Z"-button on the Player 1 controller, a squeaking sound, and then a child's laughter will be heard. Holding the "Z"-button simultaneously on a controller plugged into each port will produce a Japanese oriental style sound effect with a man shouting a battle cry. The Gamecube's main menu screen also has hidden music. Speeding up the music about 16 times will reveal that the menu's music is really a slowed down version of the Famicom Disk System's start-up music. InterAct 3d party GameCube controller. InterAct 3d party GameCube controller - rear view of button set up. 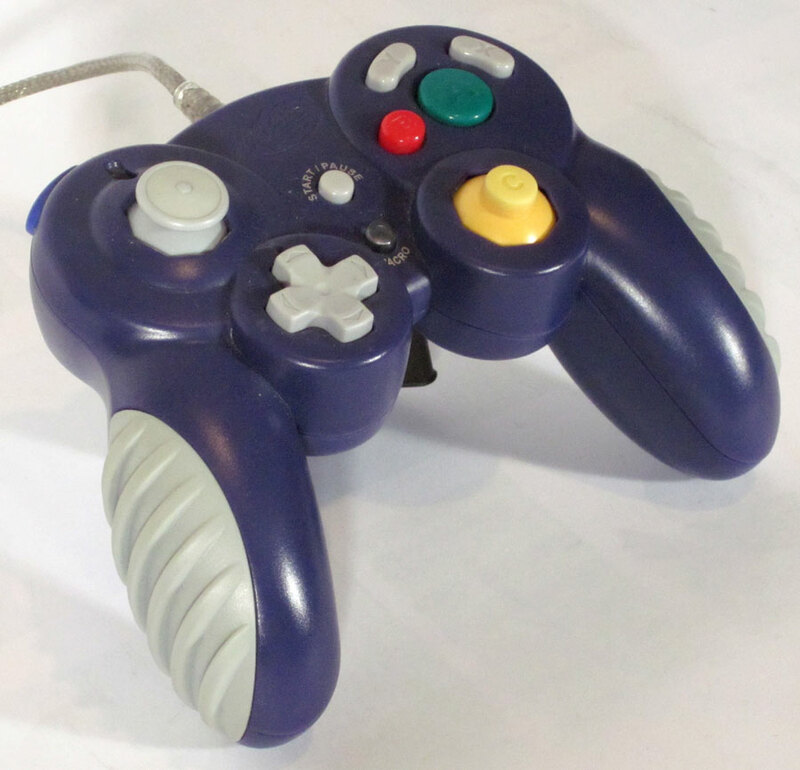 3d party GameCube controller made by Mad Catz. 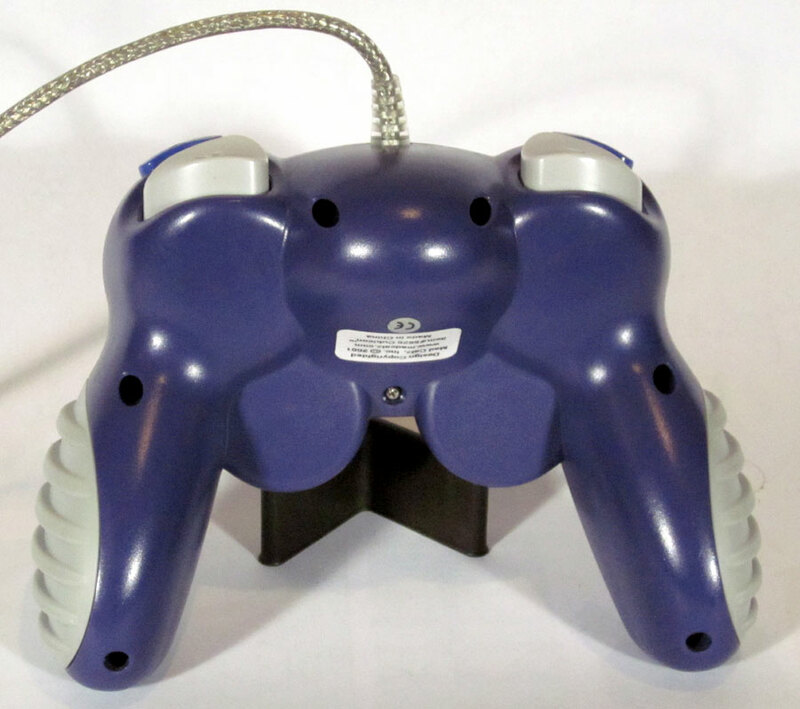 Mad Catz GameCube controller showing the front, index-finger buttons. Bottom of the Mad Catz GameCube controller. Nintendo GameCube controller ports and memory card slots on the front of the console. The GameCube features 2 memory cards ports for saving game data. The three official memory card sizes are: 59 blocks (4 Mbit/512 KB, gray card), 251 blocks (16 Mbit/2 MB, black), and 1019 blocks (64 Mbit/8 MB, white). 3rd party memory cards were also sold. 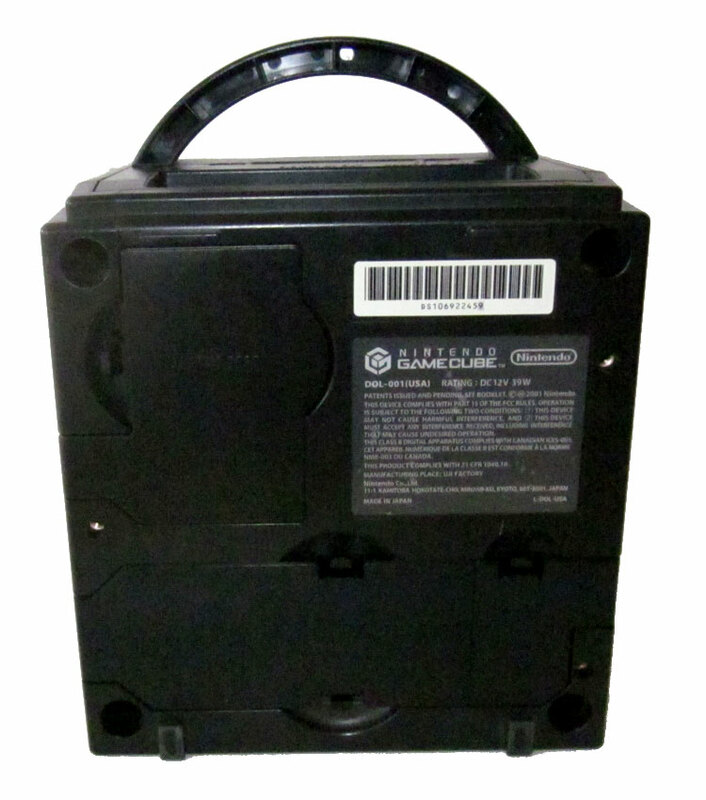 Nintendo GameCube rear ports: Power and Digital & Analog AV outputs. Nintendo GameCube serial ports on the bottom of the console with the covers removed. Nintendo GameCube High Speed port on the bottom of the console with the cover removed. 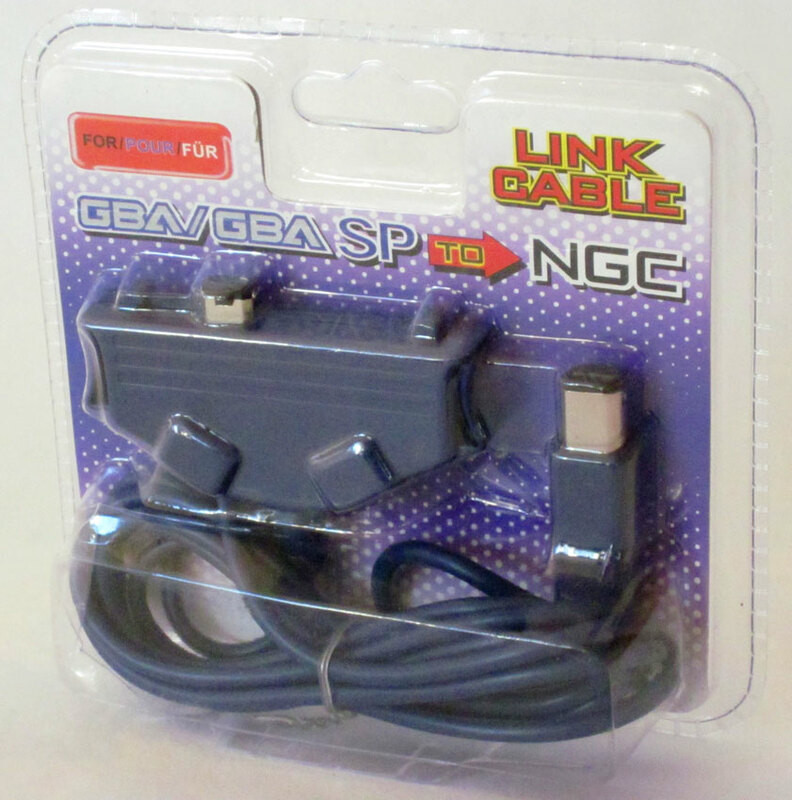 Nintendo Game Boy Advance to GameCube connection cable allowed the Game Boy Advance to become a secondary screen & controller for some games. These specific GameCube games were designed to integrate the GBA with the GameCube. 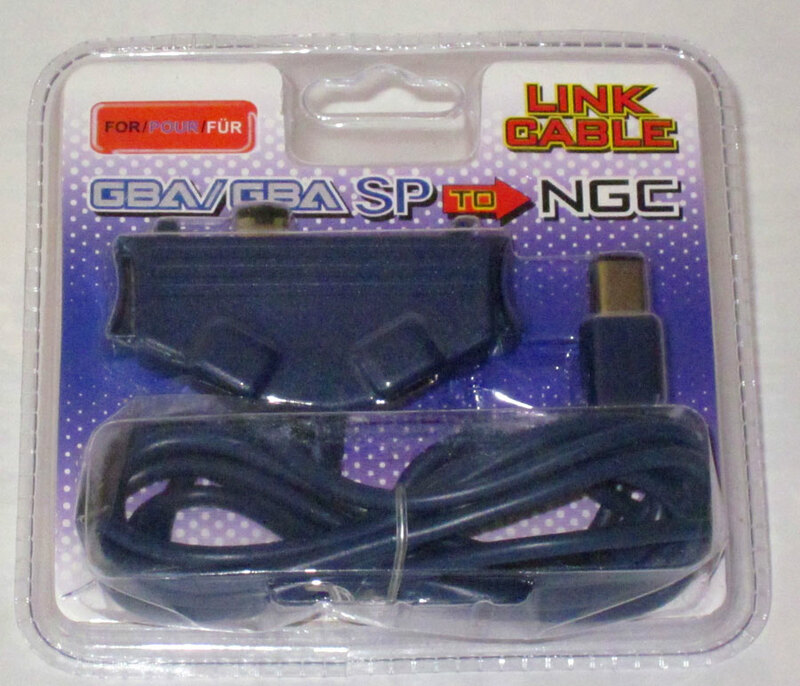 The Game Boy Advance to GameCube connection cable is compatible with the Nintendo GameCube and Wii consoles. 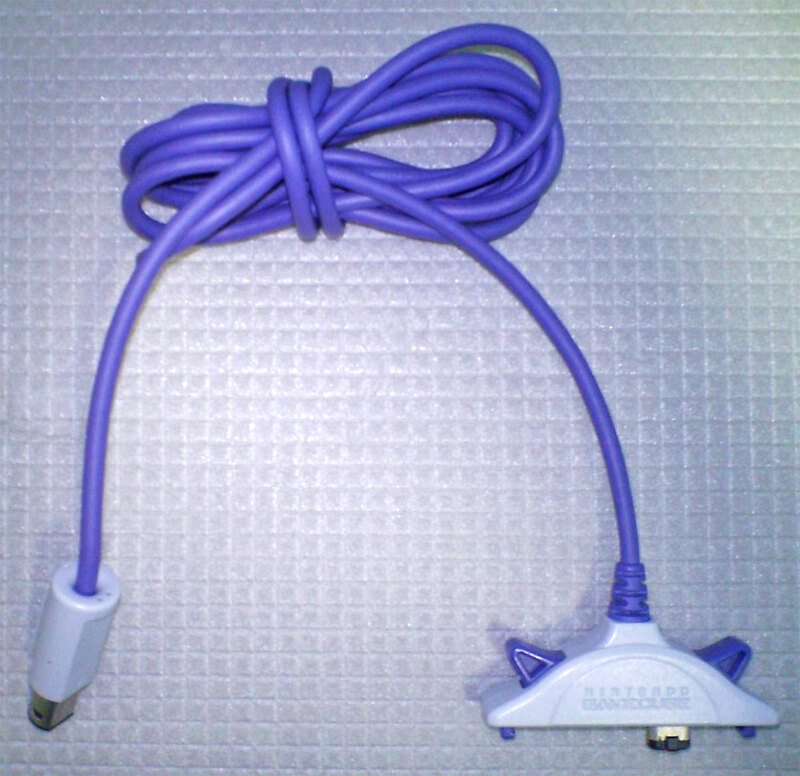 This adapter allowed Game Boy Cartridges to be played on the Nintendo GameCube. 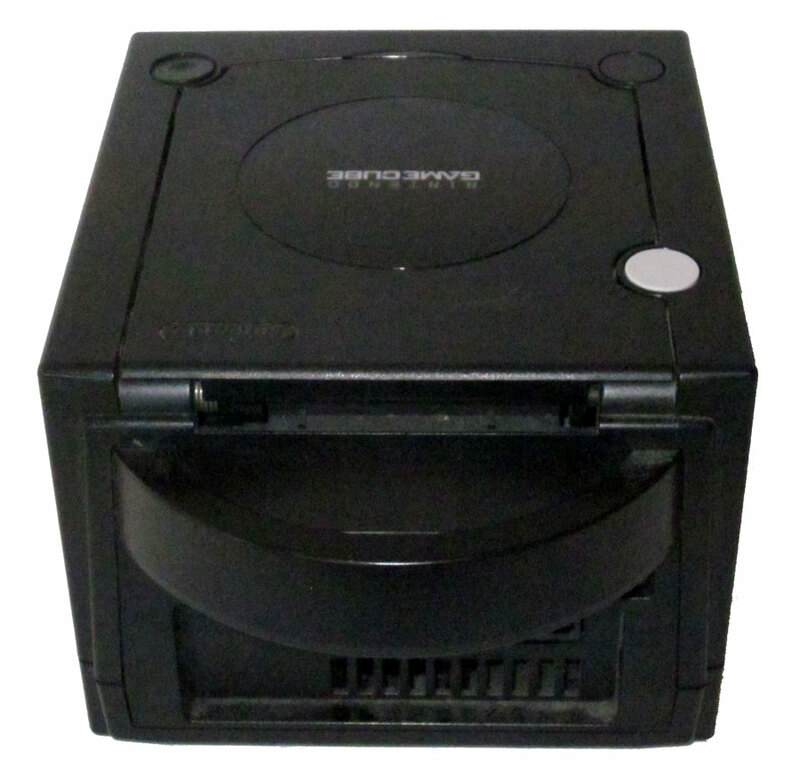 Attaching to the console's base with 2 bolts, a cartridge slot was in the front and a disc was inserted, like any GameCube game, into the console. Voila! Game Boy on the GameCube! 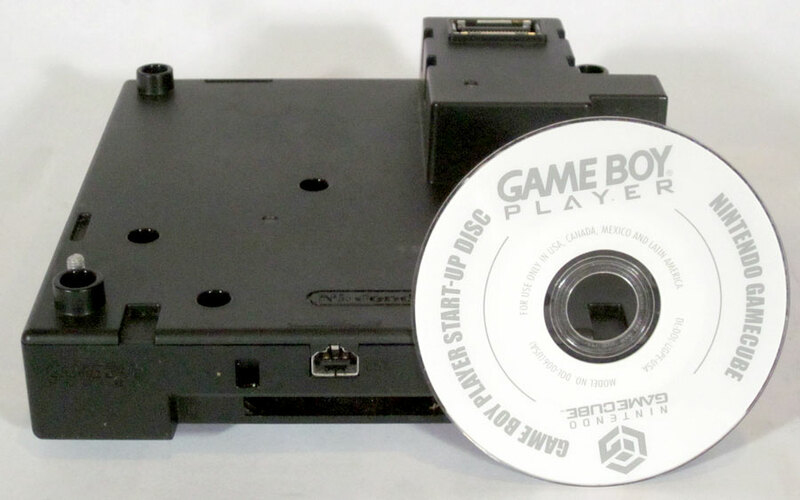 Nintendo GameCube's adapter for Game Boy Cartridges. 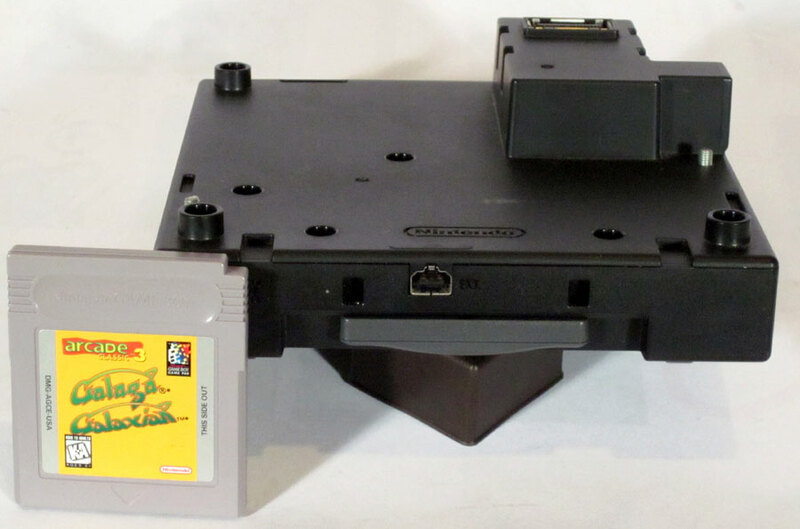 Nintendo GameCube's adapter for Game Boy with a GB Advance cartridge in the slot and A GB cart for size comparison. Nintendo GameCube with adapter for Game Boy attached below. 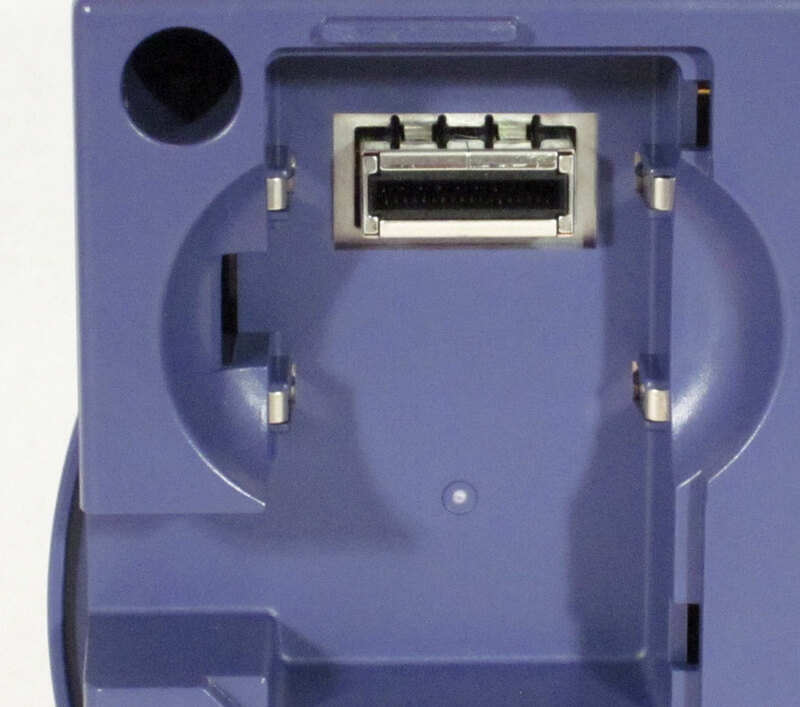 A Game Boy Advance cartridge is inserted into the cart slot. Nintendo GameCube with adapter for Game Boy attached below: three-quater view. Ext. 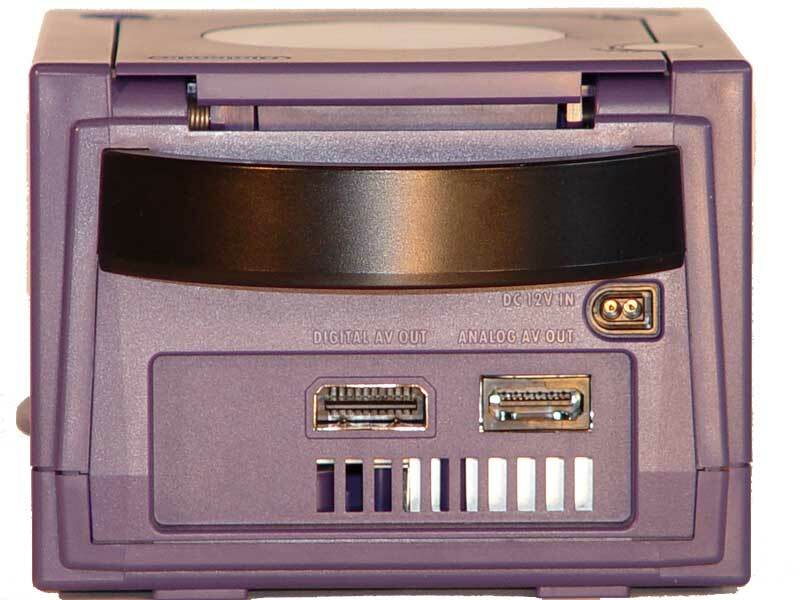 port and cartridge slot on Nintendo GameCube's adapter for GameBoy. 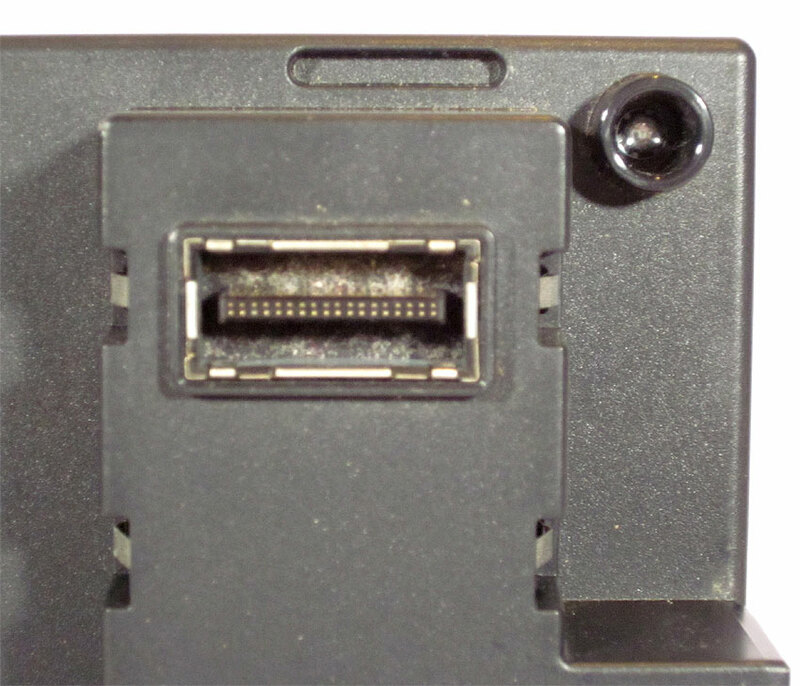 Close up on the connection port on the Nintendo Game Boy adapter for CameCube that interfaces with the GameCube. 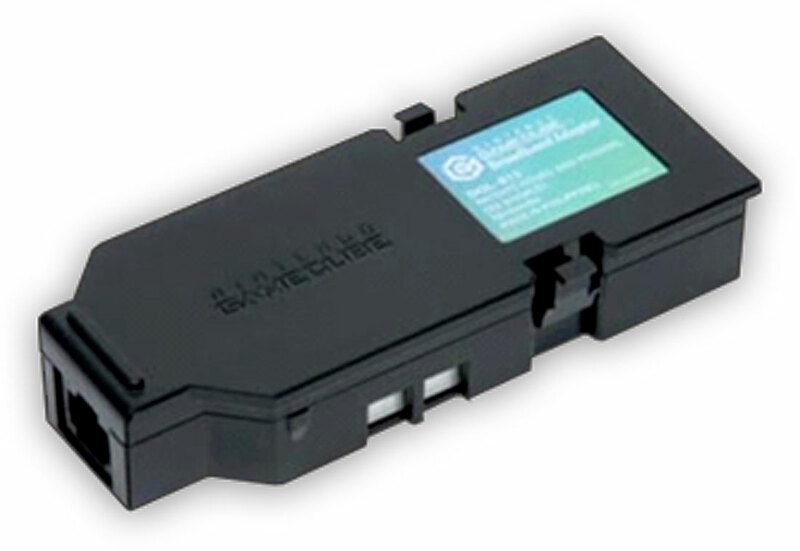 Nintendo GameCube Broadband Adapter and Modem Adapter. 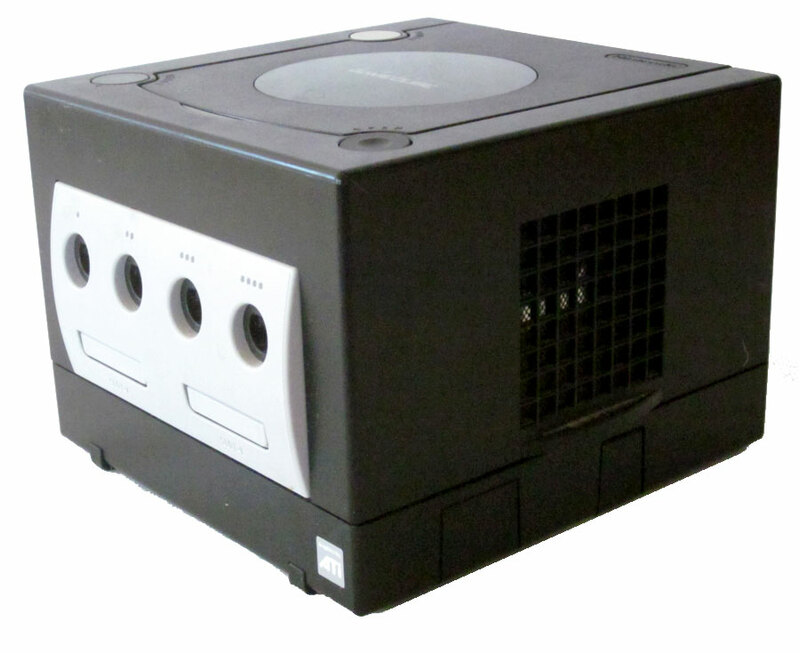 The GameCube offered online compatibility using a GameCube Broadband Adapter or Modem Adapter, though only 4 games featured an online component: Homeland, Phantasy Star Online Episode I & II, Phantasy Star Online Episode I & II Plus and Phantasy Star Online Episode III: C.A.R.D. Revolution. Online play was canceled as of April 2007. 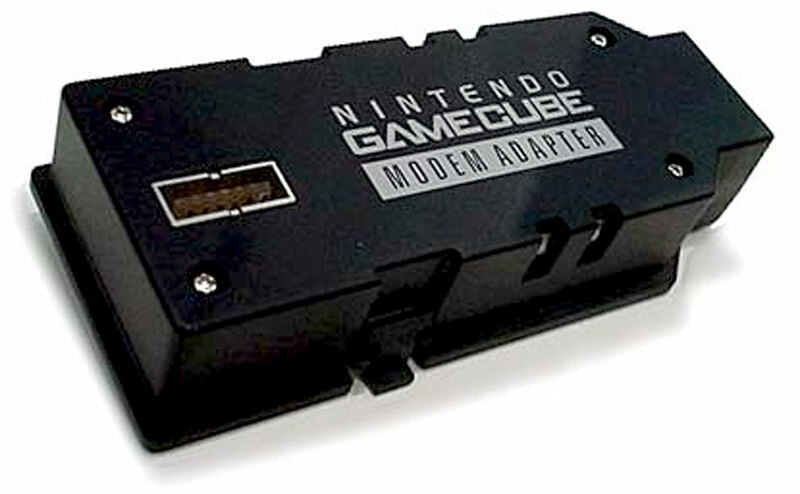 Nintendo GameCube Broadband Adapter and Modem Adapter. Due to Nintendo's lack of support for the online capabilities of the GameCube, multi-platform games with online functionality were released offline-only for the GameCube. 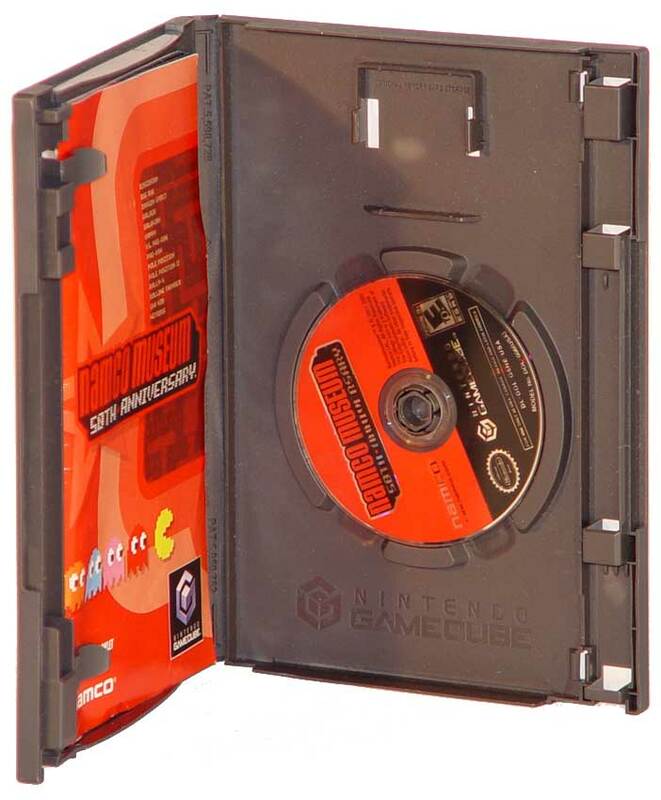 Nintendo GameCube mini-disc storage case. 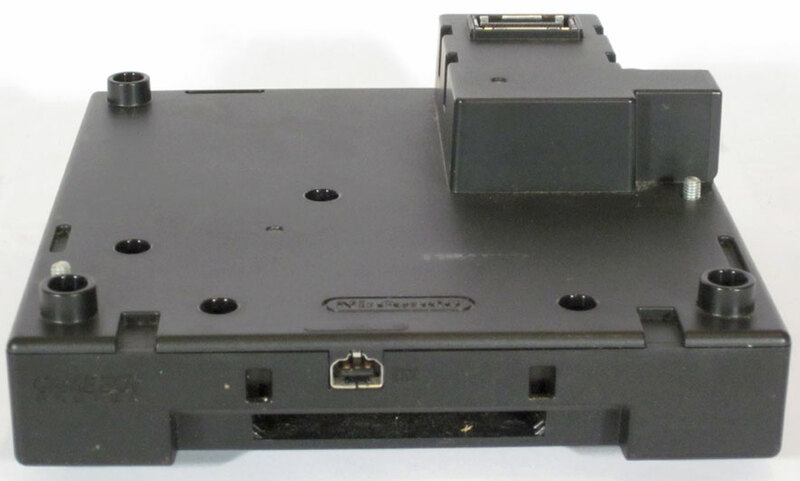 Chosen to prevent unauthorized copying and to avoid licensing fees to the DVD Consortium, the mini-disc was Nintendo's first non-cartridge storage method for consoles released outside of Japan. 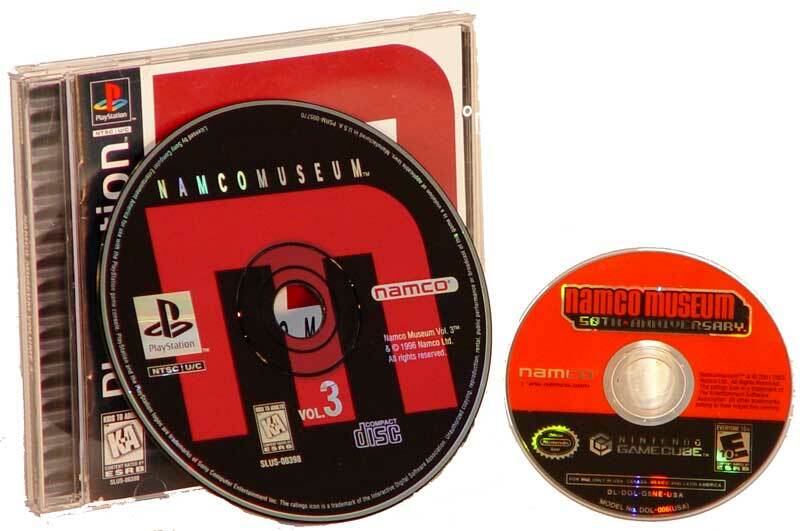 Nintendo GameCube mini-disc comparison with full size game disc for Playstation. The 1.5 GB proprietary disc format may also have been a limiting factor since the PlayStation 2 and Xbox could use 8.5 GB Dual-Layer DVDs for larger games. Only 25 GameCube games have been released on two discs, and none require more than two discs. 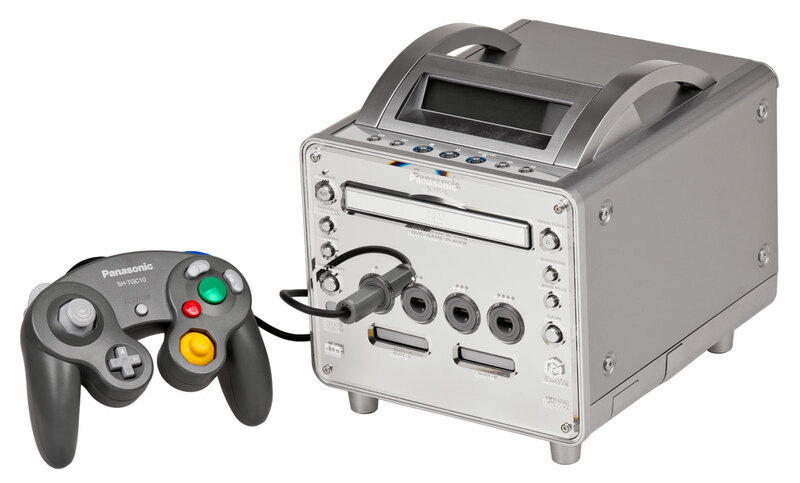 Released only in Japan (Dec 2001), the Panasonic Q is a hybrid version of the Nintendo GameCube with a DVD player, manufactured by Panasonic in cooperation with Nintendo. Nintendo's uncharacteristic decision to license the gaming technology to Panasonic was a result of the deal between Matsushita (owners of the Panasonic brand) and Nintendo. 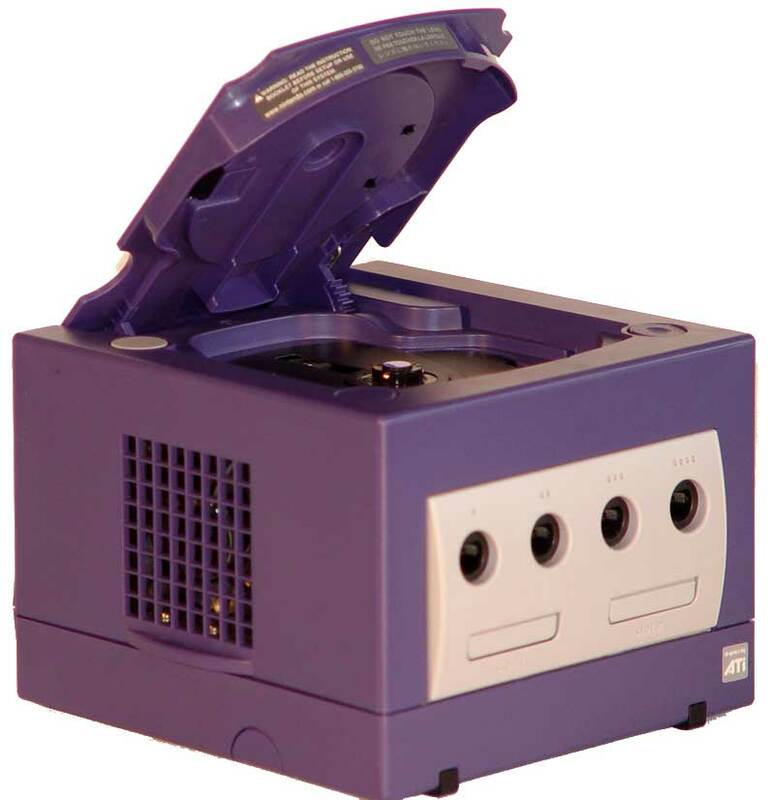 When Nintendo signed Matsushita as the producer of the optical disc drives that power the GameCube, an agreement was struck allowing Matsushita to produce a DVD system with the capability to play GameCube games. 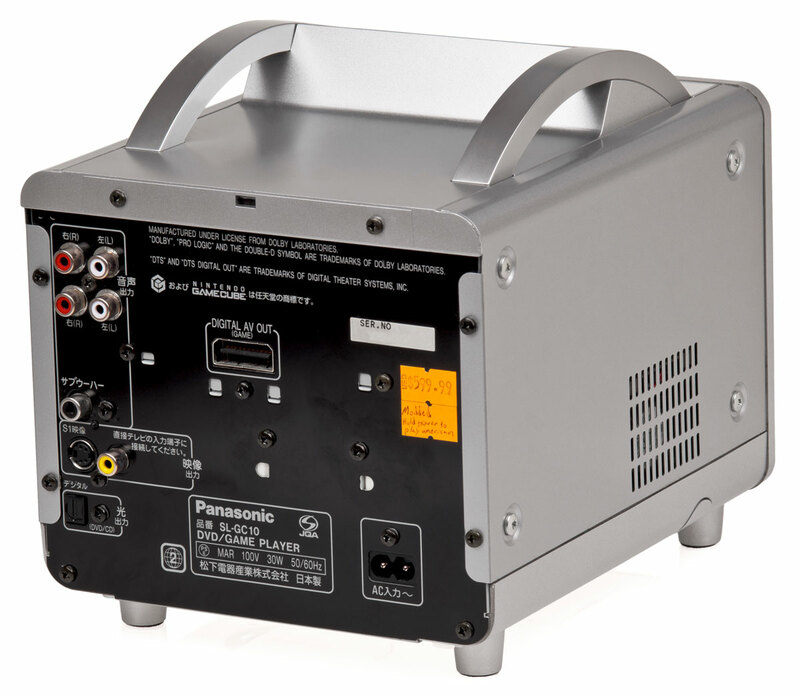 Other features of the Q included a backlit LCD, a front-loading slot disc tray, an optical sound output supporting Dolby Digital 5.1, a subwoofer jack, and a stainless steel case. Rear view of the Panasonic Q. The Q comes with a grey, Panasonic-branded controller and a remote control. 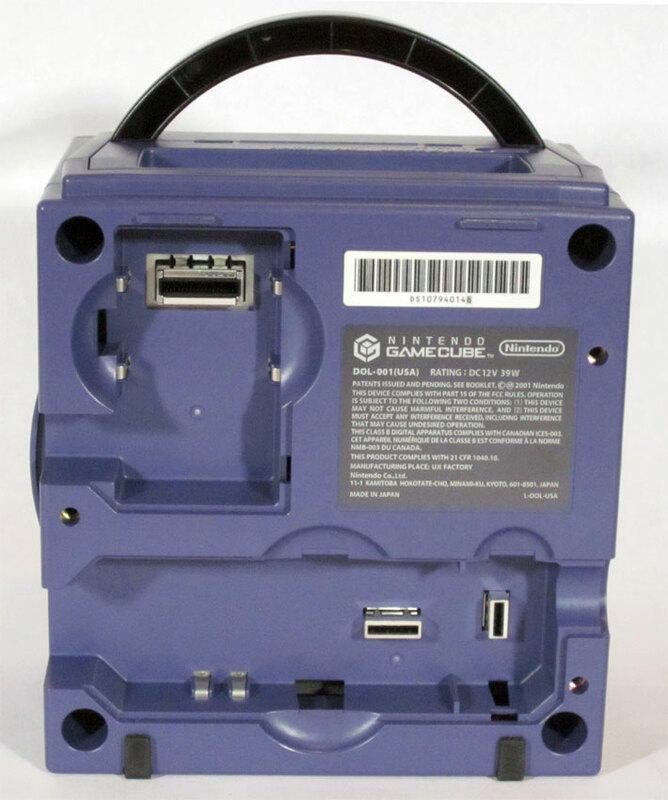 The Q can install all of the GameCube hardware upgrades, but the legs on the bottom requires a special Panasonic Q Game Boy Player unit designed specifically for it. This is due to it's form-factor matching the footprint fo the original GameCube. Panasonic stopped production of the Q in December 2003 due to low sales. A standard GameCube and a standalone DVD player costed less than the price of the unit making it a poor choice outside the serious collectors.